Why Use Flexible Packaging For Your Cannabis Products? Our partners at ePac Digital Packaging have brought the latest in digital printing technology to the cannabis industry, providing cost effective, custom flexible packaging with fast order turnaround and exceptional, eye-catching graphics quality. Read on to learn more about flexible packaging and what it means for your cannabis business. Why did ePac decide to venture into the cannabis industry? When we initiated our go-to-market research for the cannabis industry, we began our focus in Colorado. What we found was a rapidly growing industry with a lack of local suppliers and limited options for professional packaging. Many of the customers we talk to use overseas suppliers, and very few could cost-effectively customize graphics for their brand. Many were using blank pouches and manually applying stickers, paying excessive plate fees, experiencing long lead times, and were required to place larger minimum orders than desired. ePac, because we are a local manufacturer, and use digital printing, offers a solution to each of these business issues. 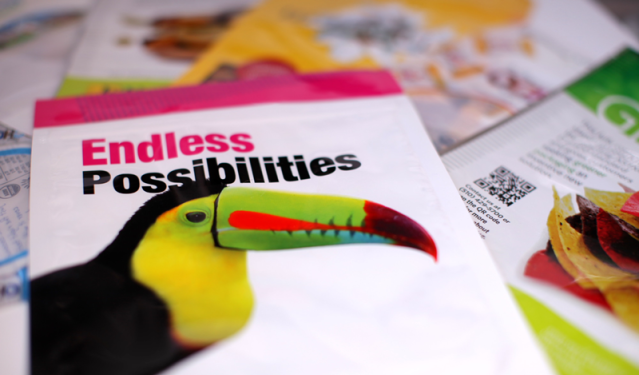 What is flexible packaging and what are some of the benefits? ePac flexible packaging is made of laminated film structures (polymer based) designed for use with food products, and is used by brands all over the globe in markets such as snacks, naturals & organics, sports nutrition, coffee, pet food, and many others. Flexible packaging has distinct benefits over other types of packaging such as labels, folding cartons, and rigid plastic containers. For folding cartons and rigid containers, the space and cost required to ship, store, and display them is an issue, while the market in general is shifting to flexible packaging as a preferred solution for these very reasons. For companies using labels applied to unprinted pouches, the benefit ePac offers is the ability to go-to-market with custom printed, high quality pouches with great graphics quality, while eliminating the labor involved in applying the labels. What types of cannabis products can flexible packaging be used for? ePac offers a variety of pouches designed for use with flower, multi and single-use edibles, pre-rolls, syringes, and exit bags. We offer high barrier construction material options for both opaque and clear pouches, and all our cannabis products are manufactured to comply with Colorado State regulations for packaging, including child resistance. For customers who are not sure of the type of pouch they need, we offer a portfolio of standard sizes and materials. For customer requiring custom sizes or materials, we offer complete customization. How is ePac’s digital printing process different from conventional printing? There a number of advantages that digital printing provides over conventional printing processes: 1) Cannabis brands can easily and economically customize their packaging for short to medium length runs. For multi-SKU orders, digital printing can also be cost effective for longer runs. 2) No printing plates are used, and 3) digital printing is significantly friendlier to our environment. 4) It provides brands the ability to print to demand, thus eliminating inventory and reducing obsolescence, and 5) Since order turnaround time is significantly faster, brands can quickly go-to-market with new products. What are some common mistakes cannabis businesses make when choosing packaging? One is that customers often assume custom printed packaging is too expensive and default to distributors that source packaging from overseas. ePac’s packaging products are manufactured in the USA providing brands with visibility into how each pouch is made and what materials are used. Additionally, the added cost of a middleman is eliminated. A second mistake is not looking at the true total cost of their current packaging. 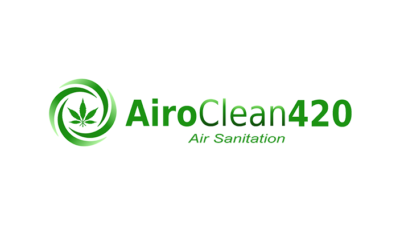 Total cost includes price per unit, the cost of printing plates and waste, freight, the opportunity cost of waiting 8 – 12+ weeks for orders to arrive, inventory cost, and the expense associated with scrapping inventory when a change is made. In addition, brand marketers should be aware of the impact that customized printing can have on their go-to-market strategy. Interested in working with ePac Digital Packaging? 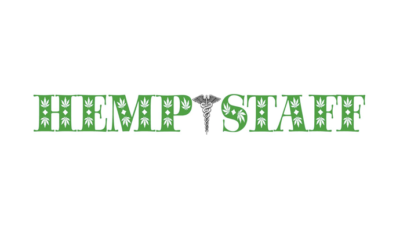 Check out their Cannabase storefront for exclusive deals, or visit their website for more information. Why Grow Cannabis in a Greenhouse? 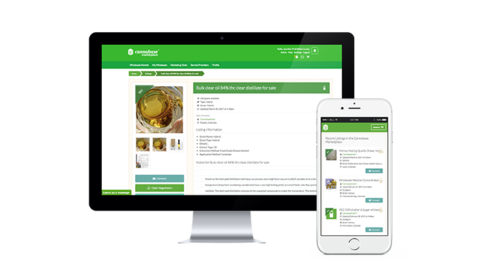 Cannabase Marketplace is the hub of the Cannabase platform, and at its center is the industry-leading wholesale marketplace for Colorado's licensed marijuana businesses. 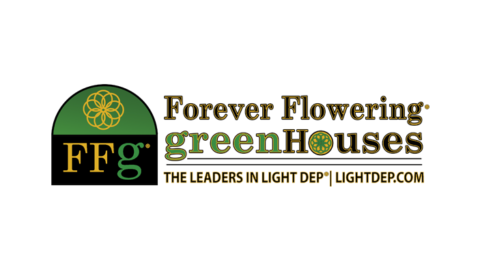 Is Your CannaBusiness Short Staffed?